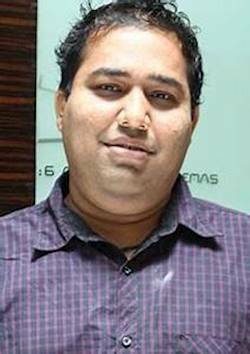 C. V. Kumar (born as C. Vijayakumar) is an Indian Tamil film producer, director and distributor who heads the production studio Thirukumaran Entertainment. Known for producing innovative and critically acclaimed films, Kumar has also primarily introduced new talent into the film industry in terms of actors and technicians. His first three films, Attakathi, Pizza and Soodhu Kavvum won critical acclaim as well as bringing in revenue of over ?50 crore (US$7.0 million). After producing successful films, Kumar began work on his first directorial venture in 2014.